This jumper slept too long and came late to the jumping competition. But suddenly he noticed that he came there in his pyjama – he forgot to change his clothes! 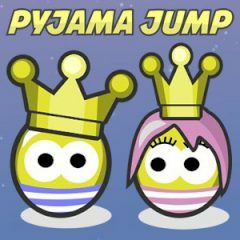 Jump, collect coins, buy upgrades and try to beat your opponents.